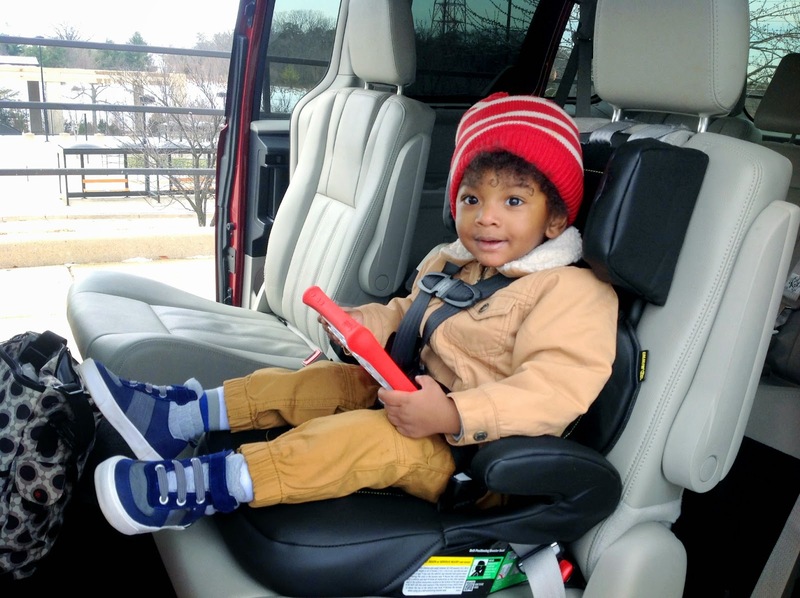 If I were a comedian, I would probably start my joke off a little something like this: A toddler and a tablet hop into an uberFAMILY car...and go from there. The only problem with this form of storytelling is the idea that the event you are describing is amusing and possibly ends in an unpleasant manner. I experienced neither. In fact, Liam and I had a satisfying adventure when we traveled through the city with Uber DC. 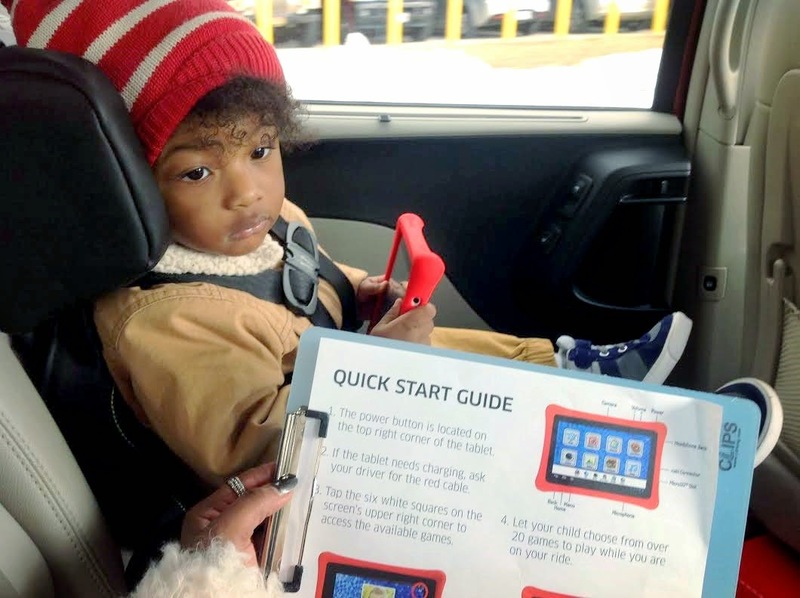 Our outing was uneventful, and we owe a big "thank you" to Uber's lastest uberFAMILY perk during the ride – a Fuhu award-winning nabi® android tablet for children. When I visit the city, I always have to drive from my rural town to a location closer to D.C. I despise stop-and-go traffic and dealing with directions, especially with a toddler. I normally catch the metro or request Uber to bring me into the city (depending on where I stop). I was a bit frazzled from driving around for over 15 minute looking for parking at the metro station. I was tempted to turn around and go back home. But, I hung in there and finally found a spot. I took my sleeping toddler out of his car seat, placed him into the stroller, then I requested a driver on my Uber app and waited. In a few minutes, my driver pulled around and greeted us with a smile. I needed this. He helped put my stroller down and placed it in the trunk. He was very pleasant and held conversation with me as I strapped Liam into his IMMI Go car seat. Once I finished with Liam, I parked myself in the seat next to him. 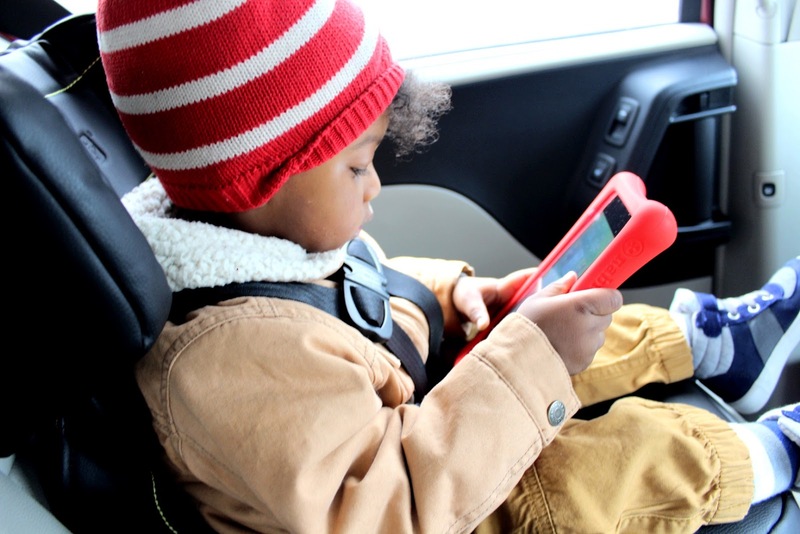 In a box nestled under the driver's seat, he pulled the nabi tablet out. He also handed me a Quick Start Guide to help us get started. We did not need it though. Believe it or not, Liam is pretty savvy with technology. He often borrows a phone from anyone who will let him and swipes his tiny fingers across the screen, pulling up games, taking pictures and whatever else he can get in. I tried to assist Liam with using the tablet, but he refused. I did have to get him started by pressing on the power button. 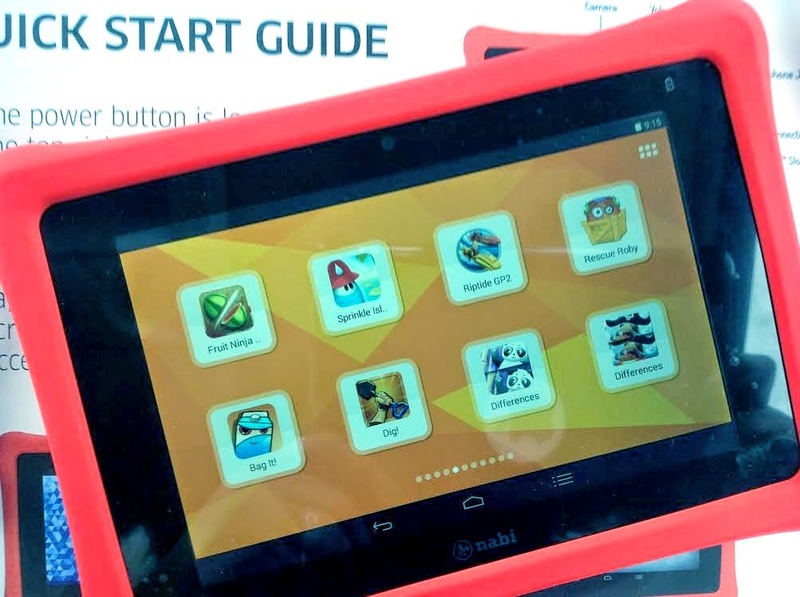 There is a vibrant, protective cover on the nabi tablet that may be a bit difficult for little hands to work. Other than that, it was just what our car ride needed. The nabi tablet had a lot of great features. I like the vibrant color of the cover. This added a fun element before using the tablet. In Liam's tiny hands, the size of the tablet was manageable. He rotated it often without dropping it. There were a lot of games and activities for him to choose from. I could not decide where to start. Liam had a lot of fun using the drawing feature. his little fingers swiped the screen to create a masterpiece. We even snapped a picture on the tablet. I definitely noticed a difference in Liam's behavior when compared to a ride with a tablet and one without a tablet. Like most children, he does well in the car when he is entertained or occupied. The tablet was the perfect distraction while we made our way to a visit to the US Capitol to visit a family member. uberFamily affords me the opportunity to relax and become a proper passenger. Instead of focusing on missing my turn or making it through a green light in time, I can take in the scenery both inside (my family) and outside of the car (hello, US Capitol). 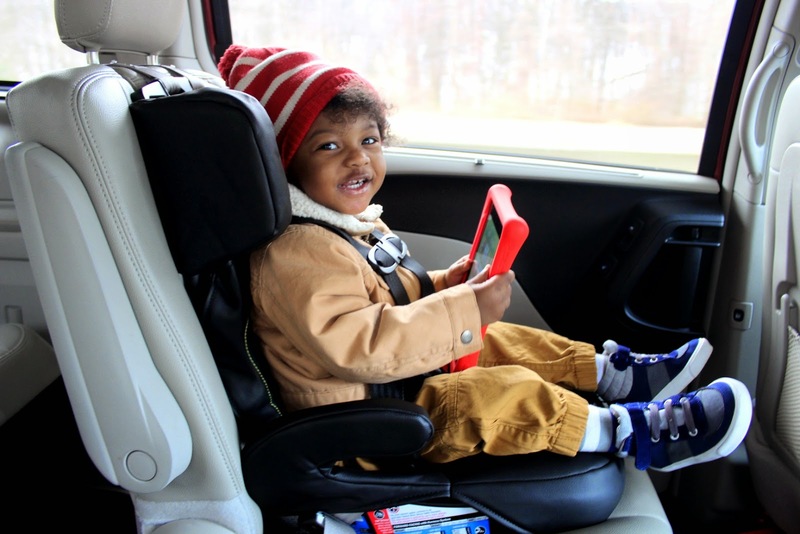 With the addition of of the nabi 2 tablet for children during our uberFAMILY rides, I am finally able to do something that I rarely get to do – focus on myself! Sure this may come in the form of checking my e-mails, tweeting or capturing a picture to share on Instagram, but it can finally happen without interruption (or a sippy cup being thrown at my head). Anyone new to Uber can sign up with the promo code ‘NabiFun’ to receive $20 off their first Uber ride (new users only, not valid on uberTAXI), or, if you want to show me some love, you can sign up through my referral link to give me credits as well: https://www.uber.com/invite/uberKeonte. 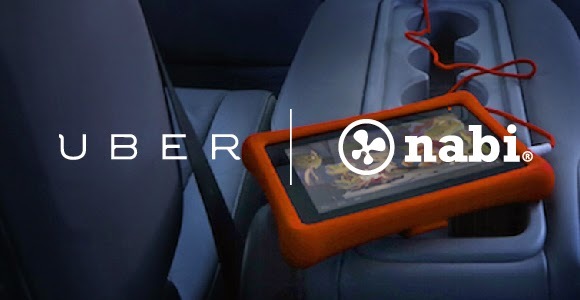 More details on the uberFAMILY and nabi partnership can be found at Uber DC’s blog: t.uber.com/fuhu. Fuhu, Inc., the creator of the nabi® tablet, is the leading designer, seller and innovator of thoughtful consumer products and services for children. Fuhu is committed to creating children's solutions that are: (1) socially responsible, (2) made right, (3) make a difference in people's lives, (4) For Parents. By Parents.® and (5) dedicated to the intellectual development of children. Earlier this year, Inc. Magazine named Fuhu the #1 Fastest Growing in America for a second consecutive year, and Forbes named Fuhu the #1 Most Promising Company in America. Fuhu was also honored as the #1 Fastest Growing Company in North America in the Computer/Peripherals category on the Deloitte 2014 Technology 500™ list. Also, Fuhu was named a Kidscreen 2014 "Top 50" for being one of the top 10 digital media companies worldwide. Fuhu is headquartered in El Segundo, Calif., with offices in Denver, San Jose, China, Hong Kong, Taipei and Japan. For more information, visit www.fuhu.com and www.nabi.com.